Search engine optimisation (SEO) practices are constantly evolving to keep pace with the way search engines are improving the way they deliver results. For example, in last week Google rolled out mobile-first indexing. As a business owner or digital marketer, it is critical to keep up with these updates if you want to keep your organic website traffic. 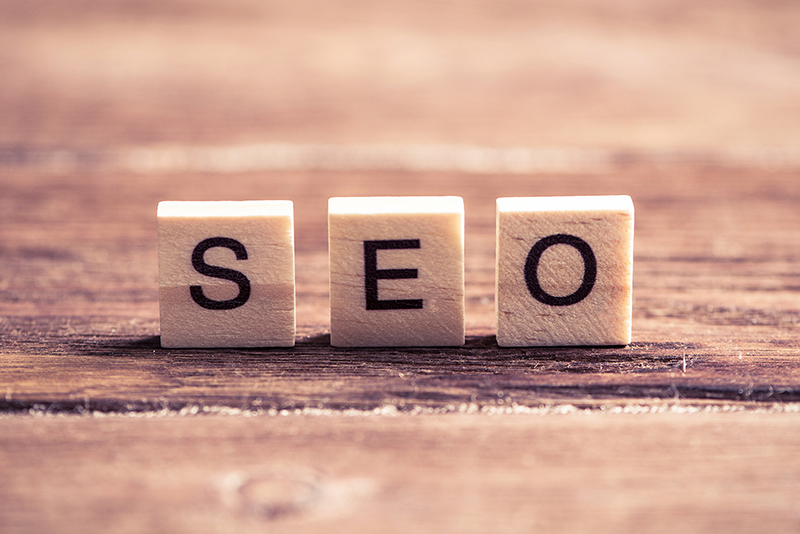 Business that do not build SEO into their digital marketing strategy could see a significant drop in visitors in future. If you don’t already have a business blog set one up. Blogging for your business is great marketing tactic to get more online visibility. Like social media, email marketing and direct mail, blogging helps support business growth. It’s a great way to regularly add new content to your website – a basic component for SEO. Each blog is a new web page that gives you another opportunity to rank for longer tail terms in search engines. Blogging tells the search engines that your website is active and they should be checking it to see what new content is available. Once you have set up your blog remember to blog regularly. You are blogging primarily for your target audience not just the search engines and blog readers like consistency. This includes knowing when to expect new content. If you decide to blog daily, weekly or monthly develop a routine blogging schedule. A blog editorial calendar will ensure you hit your deadlines. As you publish more blog posts, the number of indexed pages goes up and therefore helping you improving you appearing in the search listings. Keywords have always been at the heart of SEO but the key to future success is to build your website content around topics. Google doesn’t use exact keyword matches like it used to. It is now looking at understanding a user’s intent when searching. So instead of focusing purely on keywords, you should now think about topic clusters that are relevant to your business and create content around them. A great tool for helping you do this is the Hubspot Content Strategy Tool. Meta descriptions – while they don’t play a role in search rankings they are important for click through rates from Google search results so should be included when optimising your web pages. Keywords – You will still need to include relevant keywords where appropriate but don’t use them too times. Too many keywords can be seen as a red flag to search engines and are an indicator that you are “keyword stuffing”. Internal links – create internal links to other relevant content on your website helps search engines crawl more pages but it also helps keep visitors engaged longer too. Improving page load speed – a slow page speed means that search engines can crawl fewer pages and this could negatively affect your indexation. Slow load times also have a negative impact on user experience. SSL Certification – apart from making your website safer and more secure for visitors enabling Secure Sockets Layer (SSL) also increases your visibility in search engines. Site structure – your developer will aid in you in ensuring that the most important pages on your website are accessible to search engines. Fixing 4XX errors – search engines don’t like broken pages. Make sure you have a custom 404 page so that users and search engines don’t hit a dead end if they find a broken link. Fixing canonical errors – avoiding problems with duplicate content. Just adding more pages and more links increases the potential for technical problems that will limit your ability to rank. Broken external links – broken external links have a negative effect because crawler think you website is poorly maintained. Broken internal links – broken internal links prevent crawlers from indexing your website properly. Duplicate content & meta descriptions – best practice is to redirect duplicate content with 301 redirects. Shallow/low performing content – revisit pages regular pruning out and updating content to ensure it is still relevant to your target audience and therefore to the search engines. As well as what you do on your website you can also improve your search rankings with off-page SEO tactics. The main off-page tactic is link-building. Links are a very important signals that the search engines use to determine ranks. Check your backlinks regularly. Disavow links that are adversely affect your SEO rankings and start a link building program to increase relevant links back to website. Google Analytics – Google’s free website analytics. It will give you valuable insights into how visitors are finding your website and what they are doing on site. Google Search Console – previously called Webmaster Tools this is a free service that helps monitor and maintain your websites presence google search results. Google page speed – analyses the content of a web page and then generates suggestions to make the page load faster. HubSpot – Software that helps you measure your entire marketing funnel, tracking visitors all the way through to becoming leads and customers. Semrush – A tool that is good for finding profitable keywords. Screamingfrog – A crawler that helps you to analyse onsite SEO. SEO can take a lot of time and effort. If you are going to include SEO in your digital marketing strategy make sure you set up the systems to measure how effective you have been. The most basic number to measure your organic search traffic. More importantly you will want to know how much revenue and profit organic search traffic brings to your business. So set up a system that allows you to track your leads and customers against organic traffic. Like all digital marketing SEO best practice is always moving forward so it is important to keep an eye on new developments. This will ensure that you keep your website up to date by make incremental improvements on an ongoing basis. To find out if you need to build better search engine optimisation into your digital marketing book an SEO audit with Paul. Paul will check the health of your website and point out any SEO issues you may have.